Email as a tool for marketing is one of the most effective forms of marketing. Even in 2019, there is no denying fact about it. Many will argue against it, but I beg to differ, despite the fact one can now have a social media account with a mobile number only. Email is still the most preferred choice to create accounts. On top of that, new social media sites are coming up day in and day out. Google+ is the most recent accident. Social media sites are making sure the reach for business reduces. So it now makes even more sense to be using email as a valid form of marketing online. Businesses are moving from social media-based marketing to more personal one on one marketing over a messenger. The main reason is the visibility of the messages. Also, it is only a matter of time when we all will have bots messaging us, and we move over to something else. In the midst of such changes, email is and will be an evergreen method to reach new customers if done the right way. So now the question comes, how to use email as a marketing tool more effectively. The power of email as a marketing tool is vast but with more power comes more responsibility to use it correctly. The temptation to spam is high. One has to make sure to never cross that fine line between sending a marketing message and spamming users. So without much ado let me begin and share how to use email marketing and increase traffic for a blog productively. Again this can also be true for an e-commerce or other types of website, but I will share details for an informative blog. Feel free to use the same for different kinds of sites. 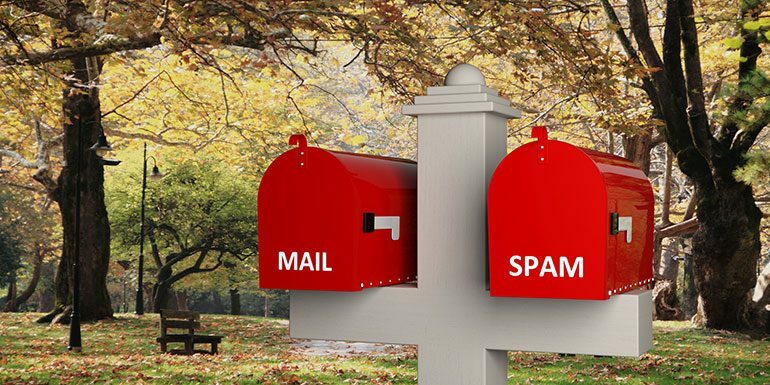 What is & what isn’t Email Marketing? Email marketing is the act of sending a commercial message, typically to a group of people. It usually involves using email to send advertisements, requests business, or solicit sales or donations. Also, a way to build loyalty, trust, and brand awareness. Once we read the above definition of email marketing, the thinking is why anyone will be interested in receiving a commercial message? Or why will anyone signup in the first place to receive such messages? So if no one is interested in it, does it mean we only spam? There is a difference in the above definition of Email Marketing and how one should use email marketing. In the world of marketing, there are tones of email sending tools available but more critical aspect is to make user subscribe genuinely to the list and provide them value for being on the list. Now once your goal is to provide value to the user, sending any commercial message just for the sake of it goes out of the picture. We only send those emails that will add value to the user. In the process, if we make some money for the same, it is more than welcome. As an example, if I like a book on entrepreneurship or freelancing, I share with my blog readers. The aim is to provide value to the user. Getting paid a commission from Amazon if they buy, is part of it. The aim is not to suggest every book from Amazon but only those that I read and like to recommend. Similarly, if I have a product, suggesting the product has monetary gains, it is not driven only financial but to help my readers by providing value. Can Email Marketing Boost Traffic? Here are the traffic stats of my blog. No point for guessing, I send emails every Monday. If you happen to be a subscriber to my blog, you will know each Monday morning India time, I send one email that has the gist of all the articles I have written. More than that, there aren’t any commercial emails as such but then in the blog articles, some of the tools or products recommended have affiliate links. Again the aim to review them is not financial gain but I genuinely use them for my own blog. Similarly, any book review I share has Amazon India affiliate link but the review is shared for books that I genuinely like and read them. So if you aim to be helpful with your emails, it is bound to get a lot of readers and your readers will often wait for your emails as well. If your emails are just crappy ads, your emails will go unseen. Great looking traffic stats is not the ultimate aim. It should help build a business and eventually grow. So let me share why every small business should consider email for marketing. Everyone still check emails – We all still check email. There are high chances the same applies to your blog or site visitors as well. If you let visitors subscribe to your blog, and send them valuable emails at a reasonable frequency, it can help build a relationship. A personal one on one communication – Though you may use tools to send emails, it is still a personal one on one communication between you and the subscriber. The emails are customizable to an extent it may seem like sent manually by the blogger. Not at all expensive – The cost of sending emails isn’t high at all. If a third party tool like AWeber is used, the cost can be slightly higher but not otherwise. 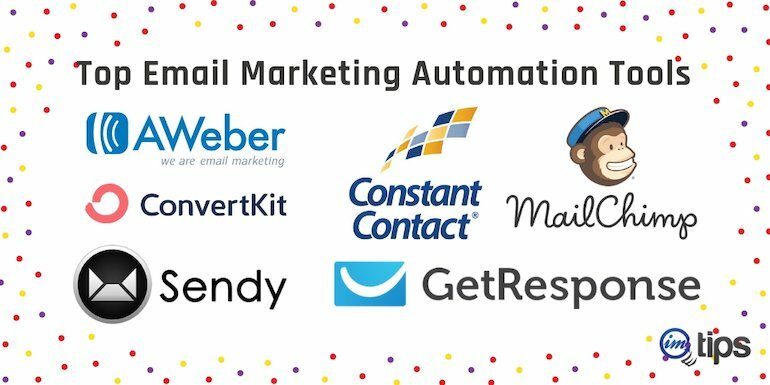 I prefer using Sendy + AWS which is a very low-cost email marketing solution. Easy to reach customers – The reason email is so popular because of its ease of use. Likewise, the email marketing tools have also made sure it is as easy to use as emails. One can easily convert blog articles into a newsletter to keep customers informed. Follow ups is easy – It is not only easy to email subscriber but one can also have an automated follow-up sequence to interact with them. The one-time setup may need a few minutes of time but once done the process can be completely automated. Improve sales – There are very low chances a visitor on a blog or website is likely to make a purchase in the first visit. But if they just subscribe, if you keep providing the value to build an everlasting relationship, it is more likely it will help convert subscriber into a customer. So email marketing eventually is a great source of sales conversion. Creates lasting relationships – All visitors to a blog or site won’t convert into a paying customer. Still, there are high chances they will build a strong relationship with the blogger, website or the brand provided they are offered value for being a subscriber. Integrate into other marketing tactics – The best part of email marketing is, it integrates well with social media marketing, SEO marketing or any other form of marketing. They aren’t mutually exclusive. Easy A/B testing – It is very easy to test a different kind of email designs, subject lines and other calls to action elements to optimize each email being sent. This makes it easy for a business to maximize its return on investment or ROI. This makes Email Marketing PERFECT for Small Businesses. According to a 2018 Radicati Group study, there are more than 3.8 billion email users before the start of 2019. If you aren’t marketing to them, you may be leaving too much money on the table. Article marketing really can help. Thank you for this article , it is really helpful , 🙂 .